Here is an interesting article written by J Doyne Farmer (previously mentioned in my last article as one of the creators of the first digital roulette computer) on agent-based trading models. Farmer co-founded The Prediction Company, a company that has created trading models since the early nineties. Since then Farmer has returned to academia and now researches complexity economics at Oxford Univesity. I am beginning to look at agent based models myself. My intention is to create a model horse race betting market containing various agents; naive bettors, arbitrageurs, trend traders to see how they interact with each other. From there I will probably use genetic algorithms to evolve traders that will enter the market and attempt to maximise their return. The aim will be to see if there are any trading strategies that are superior to others under certain circumstances. 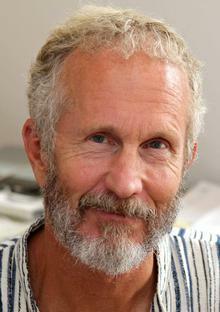 In time I will create a citations page for J Doyne Farmer as complexity is something that I am beginning to move into and his papers have a lot of interesting material (if not extremely readable compared to some papers) in them. The Predictors - A book about the setting up of the The Prediction Company. Hi James, how did it go with your seminar? Féliz navidad y un muy prospero año nuevo. Igualmente para tí! Happy holidays!